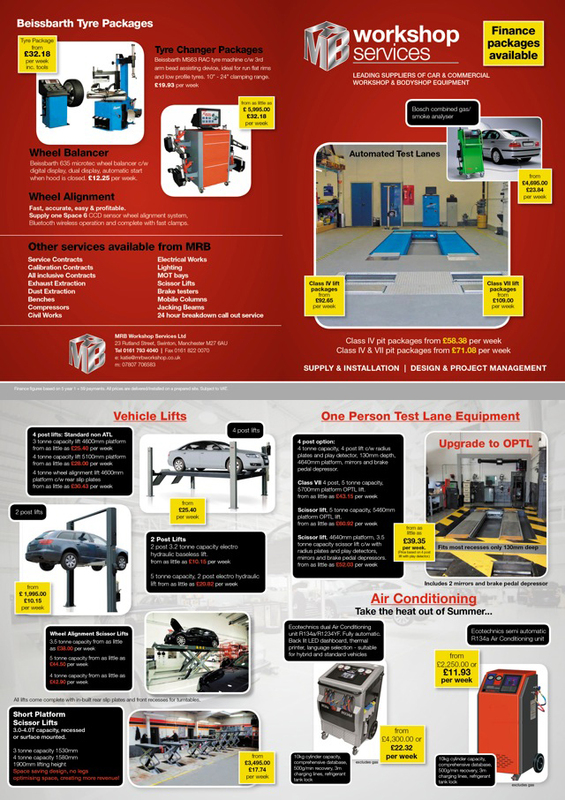 Here at MRB Workshop Services Ltd we specialise in the supply of advanced garage equipment for workshops and body shops. Our fully trained and highly experienced team can carry out an extensive range of civil works from simple MOT brake tester recesses to the complete installation of new buildings. With our unrivalled project management service, each and every one of our customers are assigned a project manager to oversee the whole process, they will work closely with you from concept right through to completion to ensure you’re completely satisfied with the finished product. With such a comprehensive list of products we really can offer a complete service to our customers. Our sales and service department are always available to take your call so if you would like to find out more about any of our services listed above please don’t hesitate to contact us on 0161 793 4040. Request a callback by filling in the fields below and a member of our team will get back to you as soon as possible.